Traditionally women’s roles in film have often been subordinate and restricted, both in front and behind the camera, of course there has been many exceptions to this generalization. Throughout cinematic history women have played a key role, before 1920 there were more women working in the American motion-picture industry than at any other time in its entire history. As well as film actresses, they became laboratory workers, film cutters, locations scouts, stunt women, script girls, production managers, projectionists, wardrobe designers and seamstresses, hairdressers, scriptwriters, directors, producers and camera women, there is believed to have been some 30 or so women film directors in the silent era. After the 1920’s as the popularity of films and the cinema grew, the Hollywood Studio System became stronger and exerted a more profound hold on world cinema. 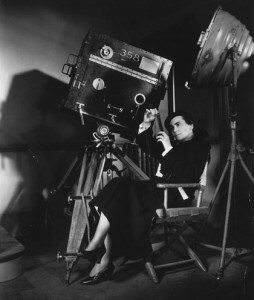 Film making became more technical and competitive, women had to compete more fiercely for work, and they would often be overlooked on the grounds of gender as the industry became more exclusive. Despite this, the motion picture industry has helped develop careers for women over the decades, many of whom have produced fine examples of cinematic story telling. The first full length feature film directed by a women was in 1914 by Lois Weber called ‘The Merchant of Venice’, almost 100 years later the first Oscar to be won by a female director was Kathryn Bigelow for the film ‘Hurt Locker’.